If your HEI membership card has already been registered online ;then simply select a hotel and schedule a booking online OR alternatively contact our concierge desk . If not yet a member click on Join now to become a member of Hotel Express International. Book as far in advance as possible as this will assist us in securing the best rates and hotel properties possible. Choose from the listed hotels in your hotel directory or here. The price range listed for each hotel is based on the rack rate, before discount, for a single room and is in the local currency unless otherwise stated. As we continuously maintain our portfolio of participating hotels, be sure to visit our web site regularly in order to stay updated. To make a local reservation, simply call 27 21 674 5488, or contact Bookings. For international reservations(For Gold and Platinum members), please contact your local reservations office for international. 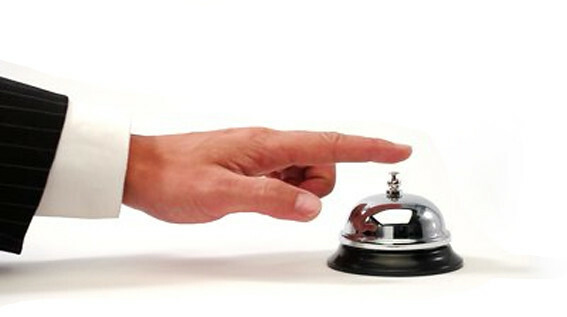 Hotel Express help desk will gladly assist with hotel information, such as member rates, facilities etc. Advance reservations are recommended. To expedite your requests when making a reservation and ensure a smooth check in on arrival. Have your membership number readily available. If your preferred hotel due to lack of availability does not have discounted rooms available as for the best available rate or other hotel options in the area. Once you have selected a hotel and confirmed your requirements ensure you understand the T&C of that hotel – below key some key terms and conditions to be aware of. Cancellation; late arrival and refund terms and conditions. Thereafter confirm the hotel of your choice and have your credit card available to make payment per the terms and conditions in order to secure your booking. Ensure you receive written confirmation from your reservation agent to ensure a smooth check in procedure when you arrive at the hotel. Ensure you have your valid Hotel Express Membership card with you and identification when you check in at the hotel. Hotel Express International (SA) Pty Ltd acts at all times as facilitating agent, sub-agent for various principals and other parties, inter alia; hotels and other providers of travel-related services. We act on behalf of these principals and are not responsible for any costs or damages due to acts of error or omission made by them or their agents. Welcome to HEI Online, our newest contribution to the Hotel Express International portfolio and a specialized online hotel reservation service for members and potential business clientele. To use this additional service follow the below procedure. Your Access code will be mailed in your welcome letter . If you do not have your Member access code you can request it again clicking HERE or contacting our Customer Support on +27 21 674 5488. You will be e-mailed the access code or given it by one off the Customer Service agents when phoning. If you have not registered your membership on the HEI Online service before you will need to do so by clicking HERE (once off)and submitting your membership details. To go to the HEI Online Reservations Portal click HERE . Once registered you will now be able to enter your username and password used to register on the system. Select now the sign in button. Now select the country off your reservation and the city. Choose your check in and check out dates. Select the Search now button to search for hotels in the area selected. A list will load with available hotels. Here you can make your selection and click the Book now button. A confirmation page n the booking will load and it will ask you to confirm and then proceed to payment details. Complete your payment details and your confirmation will be mailed to you and show on the screen. Note: Whilst there is an overlap of Hotel properties members are hereby advised that the hotels available online are not all available when booking via our local concierge desk and vice versa. It should also be noted that pricing on our online reservations portal can differ with rates offered at our concierge desk due to the dynamic and automated nature of online hotel pricing.